It was as if a veil had been torn from my eyes ... I had grasped what painting could be ... If I have become a painter, I owe it to Eugène Boudin. 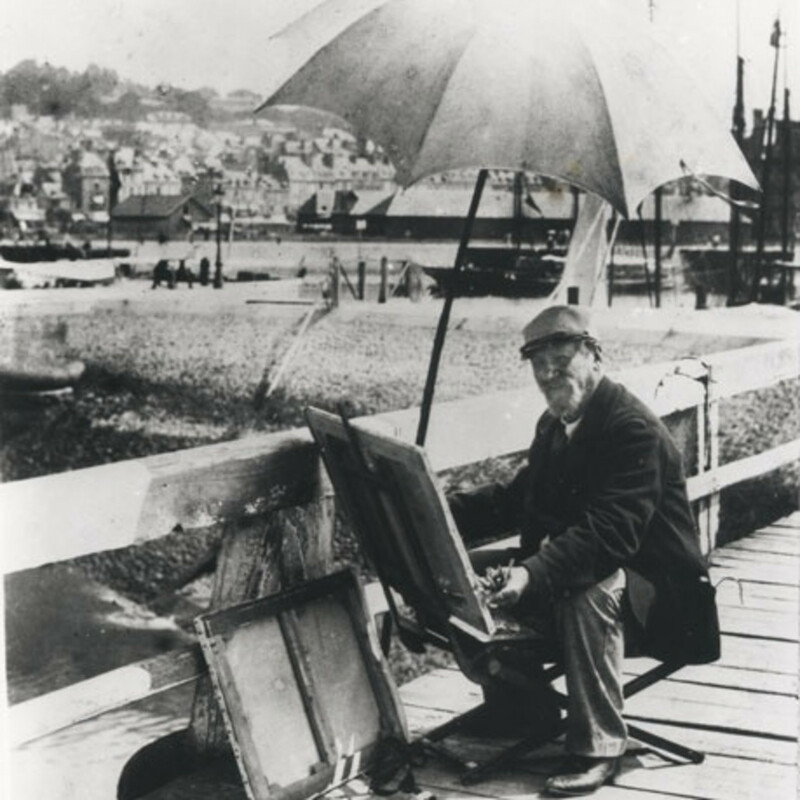 A kind and humble man who was devoted to nature and art, Eugène Boudin (1824–1898) was Monet’s first teacher and lifelong friend, opening his eyes and those of other Impressionists to plein-air painting and to the rendering of modern life. Boudin was born in Honfleur, France, the son of a harbor pilot. In his youth, he painted and sketched outdoors. At age 18, he opened an art and stationery shop in nearby LeHavre, which became a gathering place for local artists. Self-taught, except for brief study at the École des Beaux-Arts in Paris (1851–53), Boudin spent most of his career in Normandy. In the 1860s, he began painting fashionable Parisians frequenting the beach resorts of Deauville and Trouville and rendering sunlit harbors featuring fishing boats, cargo ships, and industry. His friends included Courbet, Millet, and Jongkind, and his work was admired by Baudelaire and a wide range of artists, including the Impressionists, Whistler, and Corot (who called him the king of the skies). On Monet’s invitation, Boudin participated in the first Impressionist exhibition in 1874. Although he exhibited regularly at the Paris Salon, his first solo show did not occur until 1883, when his work, presented at Galerie Durand-Ruel in Paris, attracted many British and American patrons.